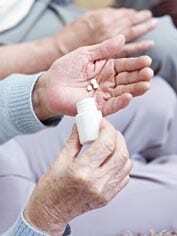 The antiepileptic drug (AED) Zebinix has demonstrated the safety and efficacy benefits it can offer in the treatment of elderly patients in a new clinical trial. Drugmakers Eisai and BIAL carried out the phase III study to evaluate the effectiveness of the eslicarbazepine acetate-based drug as an adjunctive therapy in elderly patients aged 65 years and above with partial onset seizures, with results recently presented at the Association of British Neurologists annual meeting in Harrogate. It was shown that seizure frequency observed over the maintenance period decreased from 2.9 at baseline to 1.2, a median reduction of 54.1 per cent. During the treatment period, 15.5 per cent of the subjects were seizure-free, while a total of 54.9 per cent of subjects were responders. Meanwhile, no new major safety concerns were raised, with 65 per cent of the participants experiencing 152 treatment-emergent adverse events between them. These results are consistent with those previously reported for this treatment. Zebinix is indicated as an adjunctive therapy for adults with partial onset seizures, with or without secondary generalisation. An oral once-daily dose therapy, it offers a short and simple titration to target dose for seizure control. Its strong performance in the treatment of elderly patients is important given the fact that epilepsy is commonly diagnosed in older people. Moreover, treatment of this age group can also be extremely challenging, due to the high presence of comorbidities and the frequent need for multiple therapies to be applied at the same time.